The content of the slogans reflects the vocabulary used to address the ‘newcomers’ – foreigners that have gone to work to various EU countries. 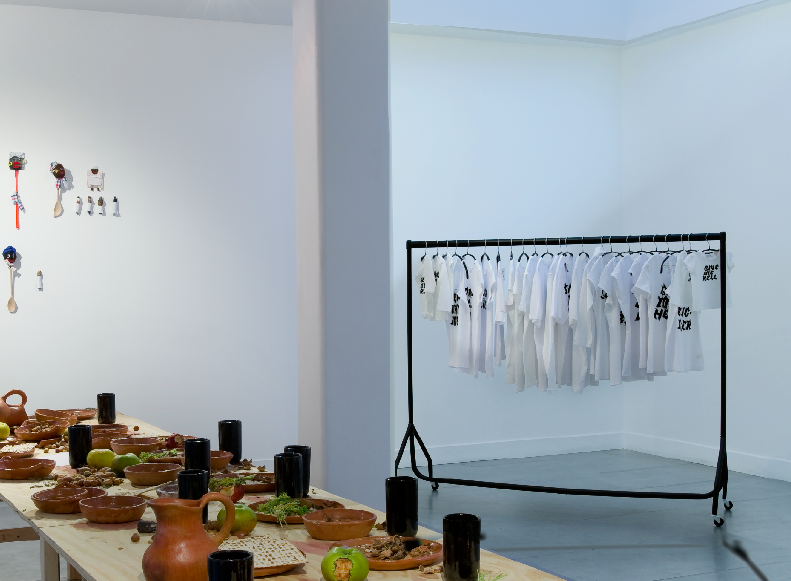 The rail with the painted shirts remained in the gallery space, for the duration of the exhibition. 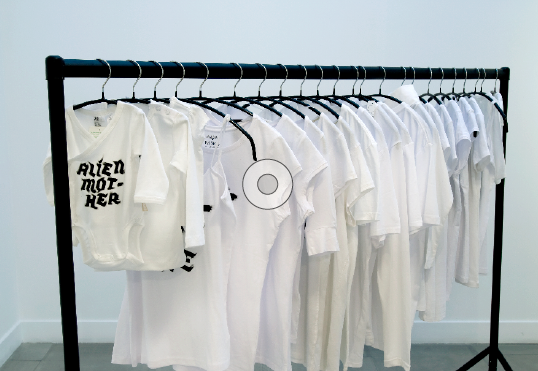 Aliens Within Ltd. displays a mobile clothes rail, onto which are hung a series of mass-produced T-shirts, with the anti-immigrant slogants painted (by myself) onto the area of the chest.